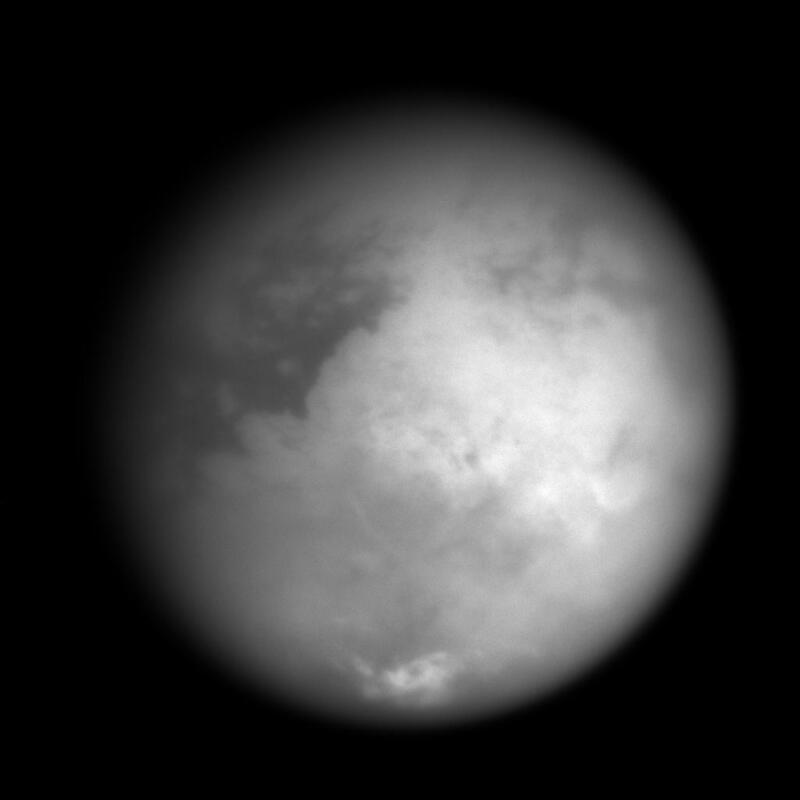 This image taken on Oct. 24, 2004, reveals Titan's bright "continent-sized" terrain known as Xanadu. 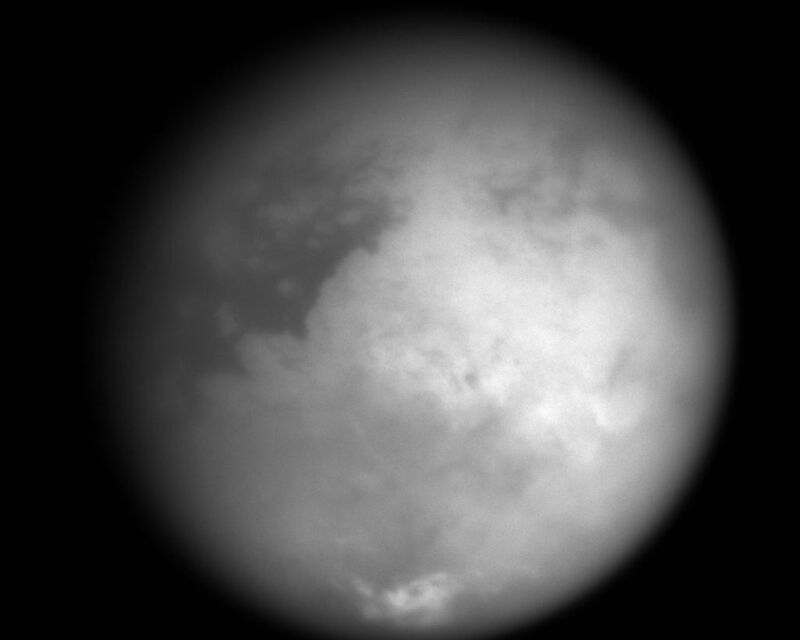 It was acquired with the narrow angle camera on Cassini's imaging science subsystem through a spectral filter centered at 938 nanometers, a wavelength region at which Titan's surface can be most easily detected. 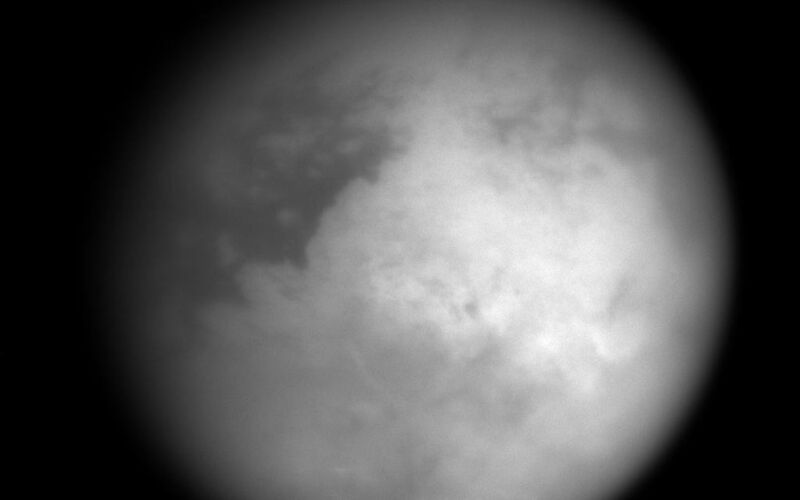 The surface is seen at a higher contrast than in previously released imaging science subsystem images due to a lower phase angle (Sun-Titan-Cassini angle), which minimizes scattering by the haze.